Need Dry Ice? Try Mars. A new study on the Red Planet suggests that the sharply etched channels that crisscross its surface may have been cut by frozen CO2, rather than water. 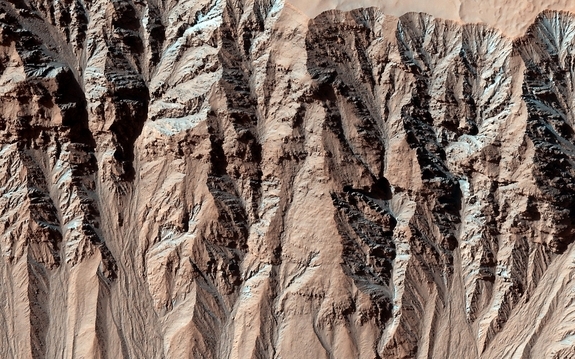 The contention is that these gullies are very much active, and continue to form on Mars even now in cold weather. If that’s the case, than it is almost certainly ‘dry ice’ or frozen CO2 that is developing this geological feature. Recent photographs captured by the HiRISE camera aboard NASA’s Mars Reconnaissance Orbiter, have enable a new look at the phenomenon, allowing researchers such as lead author Colin Dundas to examine the timing of gully formation over the last couple of years. The conclusion was that the gully formation is occurring in winter, when the Martian atmosphere is condensing out as a solid. Unlike Earth, where the temperature and pressure conditions for the formation of dry ice does not occur in nature, on Mars they occur every winter, most notably in the form of a seasonal polar ice cap. As many as 38 sites have now been identified as showing active gully formation. All at times when it would be too cold for liquid water to flow. 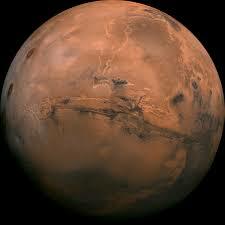 So if your heading out the Red Planet – don’t forget the Beer Cooler. The dry ice is free :).